For one and a half years, renowned filmmaker Katja von Garnier accompanied German hard rock veterans SCORPIONS on what was originally supposed to be the band's farewell tour. 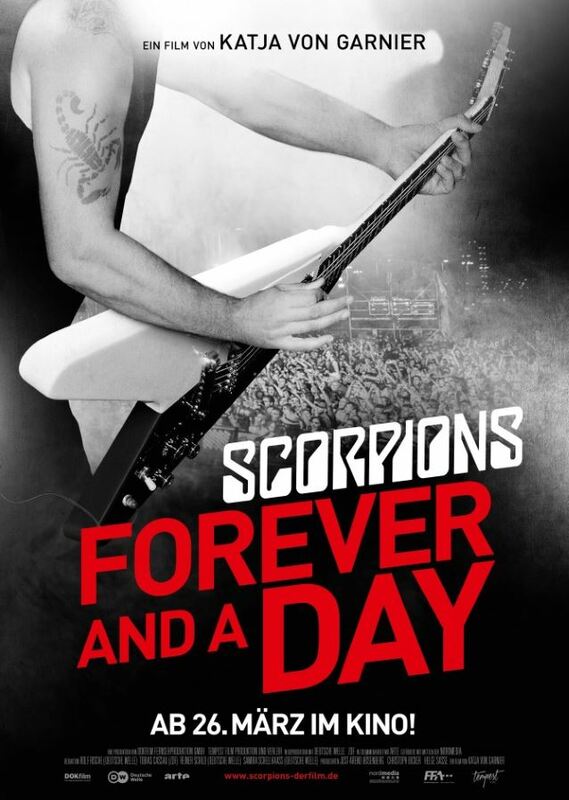 The resulting documentary, "Forever And A Day", follows the band on the road from Bangkok to Moscow, and culminates in SCORPIONS' decision to scrap their retirement plans, deciding instead to mark their 50th anniversary in 2015 with a new tour, a new album and the "Forever And A Day" movie. "They went in for the long haul — and that's why we wanted a director with whom we had the right chemistry," SCORPIONS singer Klaus Meine told Deutche Welle. Meine added in a previous interview: "A camera team followed us around the world in recent years — in Bangkok, Berlin, Munich, Paris, Los Angeles and Moscow. It was really crazy because there's so much material we couldn't even remember, like SCORPIONS on tour with the old band bus in the early '70s. There are so many pictures there that no one but us has seen. I think it'll be a really special film for our fans." 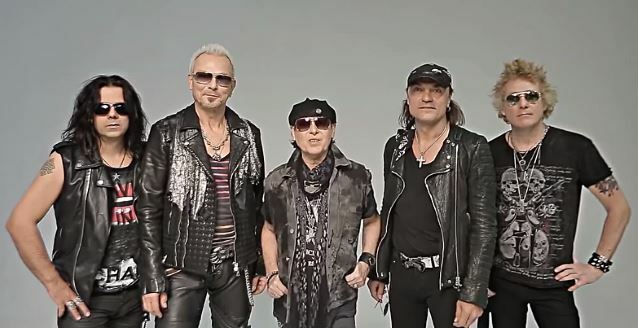 SCORPIONS guitarist Matthias Jabs told Deutche Welle that the band wasn't interested in making another standard tour documentary. "Who wants to know that a band has sold out another stadium?" he explained. Last Saturday (February 7) saw the world premiere of "Forever And A Day" in Berlin. A Deutsche Welle video report on the event can be seen below. The brand-new SCORPIONS studio album "Return To Forever" will be released on February 20 on CD, Deluxe CD, vinyl, Limited Collector's Box, and several more digital and physical formats. The first single, "We Built This House", can be downloaded as an Instant Grat on iTunes and Amazon MP3 as of now. "Return To Forever" was recorded with Mikael Nord Andersson and Martin Hansen, who had already produced "Sting In The Tail", and re-arranged the material for "MTV Unplugged" with guitarist Matthias Jabs.